The UFC’s Facebook page kicks off the festivities by streaming the preliminary bout between Nik Lentz and Eiji Mitsuoka live starting at 7:30PM ET/4:30PM PT. FX will then pick up the baton by broadcasting the remaining four prelims at 8PM ET/5PM PT. The pay-per-view portion of the event starts at 10PM ET/7PM PT. 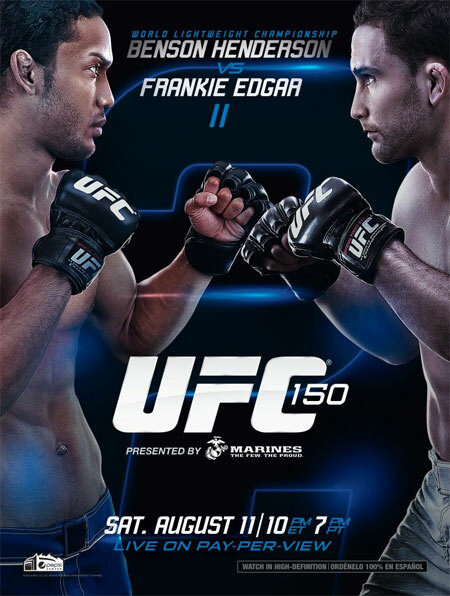 A lightweight title rematch between champion Benson Henderson and Frankie Edgar headlines the show. Pepsi Center in Denver, Colorado hosts the bash.